Where are you right now? You probably know the name of the city or town you are in, but do you know your coordinates or how far you are from the equator? Estimating your precise position on the planet in relation to the equator is a real-world application of both math and geography – and a pretty neat party trick. The simplest method to estimate your distance from the equator relies on only your latitude in degrees, which is the first number in a set of coordinates. Since each degree of latitude represents 69 miles, you can multiply your latitude by 69 to find your distance from the equator in miles. To increase your precision, you can also use the minutes and seconds in a more precise set of coordinates. 1 minute of latitude represents 1.15 miles, and 1 second of latitude represents 101 feet. Before you can calculate or estimate the distance between your city and the equator, you must first understand what a globe is. The globe is a model of the Earth that appears covered by a grid. The lines that run around the globe from top to bottom are lines of longitude – and these are not important for your goal of quickly estimating distances to the equator. The lines that run horizontally around the globe are lines of latitude. The equator is the longest line of latitude that encircles the Earth at its widest point like a belt. Other lines of latitude also circle the Earth above and below the equator. When you have a set of coordinates, you can use these to pinpoint a precise location on the globe. 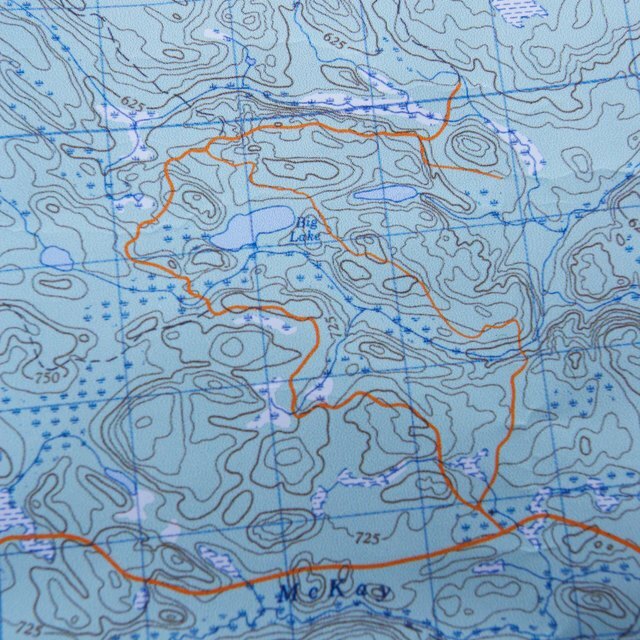 Coordinates often look like this: (40°47′ N, 73°58′ W). The first number inside the parentheses represents latitude and tells you the precise location of Central Park in New York City: 40 degrees and 47 minutes north of the equator. Since the Earth is an ellipsoid or oblate spheroid and not a true sphere, all calculations for distance across the globe are really estimations. The most accurate calculation between two points on a sphere (or, near-sphere in this case) is the great-circle distance, which relies on the very complicated haversine formula. Most of the apps designed to quickly compute distance to the equator use this method, but it is far too cumbersome for everyday estimations that don’t need to be as precise as possible. The simplest way to estimate the distance from your city to the equator uses only latitude. Since each degree of latitude represents approximately 69 miles, you can multiply your latitude by 69 to estimate how many miles your location is from the equator. For example, if you are in Central Park in New York City, you are 40 degrees north of the equator, so multiplying 40 by 69 gives you a rough estimate of 2,760 miles from that city to the equator. To enhance your precision, you can also add the minutes and seconds to your estimation. 1 minute equals 1.15 miles, and 1 second equals 101 feet. Adding these small amounts to your estimation brings your total to approximately 2,814 miles. An app that uses the very complex haversine formula would calculate this distance as 2,817 miles – which is pretty close to your quick estimation. U.S. Geological Survey: How Much Distance Does a Degree, Minute and Second Cover on Your Maps? How Do I Calculate Latitude Differences? Mayer, Melissa. "How to Find the Distance of a City From the Equator." Sciencing, https://sciencing.com/distance-city-equator-7484864.html. 21 May 2018. Does the Earth Rotate Slower or Faster at the Top?